Strychnine is a highly poisonous substance that can only be used for control of pest emus and wild dogs. Landholders have certain obligations under the code of practice for the safe use and management of strychnine in Western Australia. Landholders in WA must use strychnine on metal jawed wild dog traps as regulated by the Animal Welfare (General) Regulations 2003 (s29). Strychnine is a colourless and crystalline substance that interferes with the central nervous system. It is used in vertebrate pest control as most vertebrates are highly sensitive to strychnine. If used in accordance with instructions, strychnine is a safe and effective way of providing for a rapid, humane death of a trapped wild dog. The strychnine is enclosed in cloth wrapping which makes it accessible only to a trapped wild dog biting on the wrapping. Strychnine is a Schedule 7 poison and in Western Australia, its use and supply is bound by the Strychnine Code of Practice. Strychnine is only available to authorised suppliers and users who are trained to handle it safely, and have been issued with a permit. See below for information on how to obtain strychnine. Information on strychnine bait products and the rates to be laid are described in the information sheet: Rates of lay for 1080/strychnine products. Stick to the recommended rates per trap. Further details on the proper use of strychnine on metal jawed traps and landholder responsibilities to use this poison can be found in the Bait and poison directory for vertebrate pests in Western Australia. Under no circumstances is strychnine permitted to be used as a carcass bait as there is significant risk to non-target species and is prohibited via label directions. A number of Acts and Regulations restrict the use of strychnine in WA. Misuse of strychnine can endanger you, your family and pets, the public, farm animals and wildlife, and may restrict the long-term availability of this essential vertebrate pesticide. All strychnine users are urged to become familiar with the Strychnine Code of Practice in Western Australia. In Western Australia, a landholder requires a permit to handle, store and use baits and poisons in the control of vertebrate pests on their property. Their use is subject to being part of control programs approved by the Department of Agriculture and Food, Western Australia (DAFWA). Only authorised DAFWA officers can authorise the supply and use of strychnine. Only authorised persons trained in the safe use and handling of strychnine can be authorised to receive and use strychnine on jawed traps for control of wild dogs. Strychnine can only be used on the land identified on your application and approved by an authorised DAFWA officer. Strychnine is only available from licensed S7 retail outlets. Strychine can only be used by authorised landholders and bona-fide dog-trappers in pastoral areas, and in certain designated local government areas. Please consult with your local DAFWA office for advice on whether strychnine is available for use in your area. The Landholder information for the safe use and management of strychnine for wild dog traps booklet and the Bait and poison directory for vertebrate pests in Western Australia page contain the information you require on how to obtain strychnine for wild dog control. When handling strychnine, you must wear chemically impervious gloves, particulate masks (as strychnine dust particles are potentially very dangerous), and appropriate protective clothing. It is strongly recommended that all these items are disposable to enable thorough clean up. If possible, also use double gloves with a lighter inner glove to help prevent contamination during clean up. Be aware that it can be quite difficult to clean up after using strychnine. For this reason do not use the back of vehicles etc. when preparing strychnine products. Instead, set up a stable workplace on the ground using a large plastic bag. Once clean up is complete, and all disposable items have been bagged, buried or incinerated, then wash your hands and any other potentially exposed areas with soapy water. Further details on first aid can be found in the Landholder information for the safe use and management of strychnine for wild dog traps booklet. Do not take your responsibility lightly. You must take all available care to ensure that the strychnine (including treated traps) is used safely and does not end up in the wrong place or in the wrong hands. If strychnine is used in accordance with instructions, it is an efficient, safe, and effective way of providing a rapid, more humane death for wild dogs caught in jawed traps. The incorrect or careless use of strychnine can have disastrous effects. Such misuse may result in the curtailment of the future use of strychnine. The availability of strychnine for use on jawed traps to control wild dogs is vital for the agricultural industry of WA. Its ongoing availability is dependent upon all users using strychnine safely and responsibly. 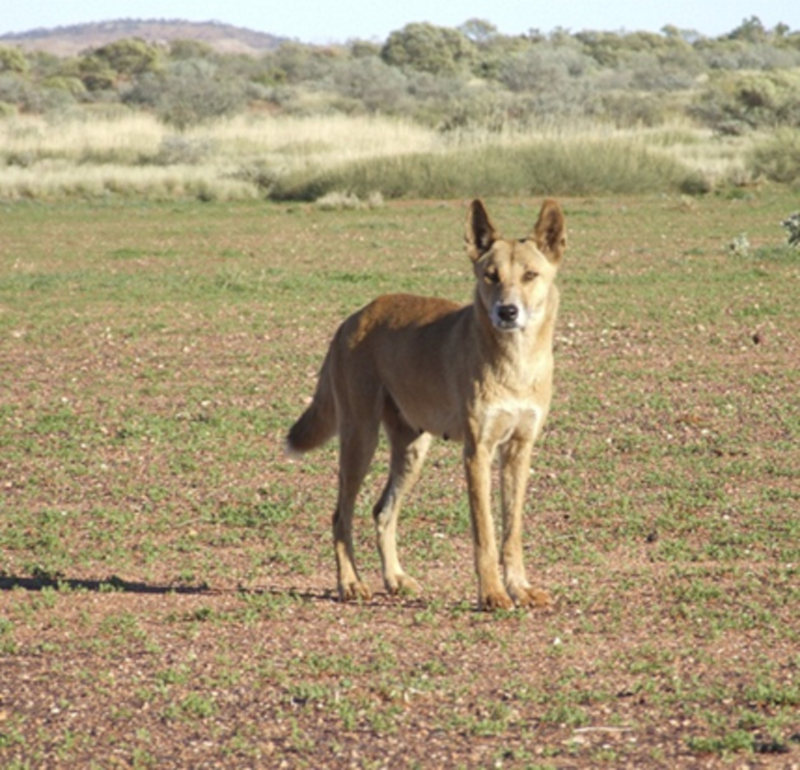 Landholder information for the safe use and management of strychnine for wild dog traps. Code of practice on the safe use and management of strychnine. Bait and poison directory for vertebrate pests in Western Australia.